On April 29, 1982, a witness claimed to have encountered aliens in Newport News, Virginia. “I was working second shift as a field engineer at the shipyard and would get home between 11:30 and midnight. I would listen to the Richmond rock station at 102.1 mhz to relax (better music than the local stations) and sometimes a challenge to receive, since it was 80 miles away. This night reception was excellent and it was 1:30 am before I knew it. I told myself I would listen to one more song before going to bed. About a minute later, I heard some static that is characteristic of weak signal fading on FM. Ok, so I would go to bed now. I turned the stereo off and went down the hall to the master bedroom. On December 22, 2017, a person has caught picture of the Space X launch in Gardena, Los Angeles County, California. By watching image, he noticed a weird green UFO. “I was outside and saw the smoke trail from the SpaceX launch and snapped a pic. 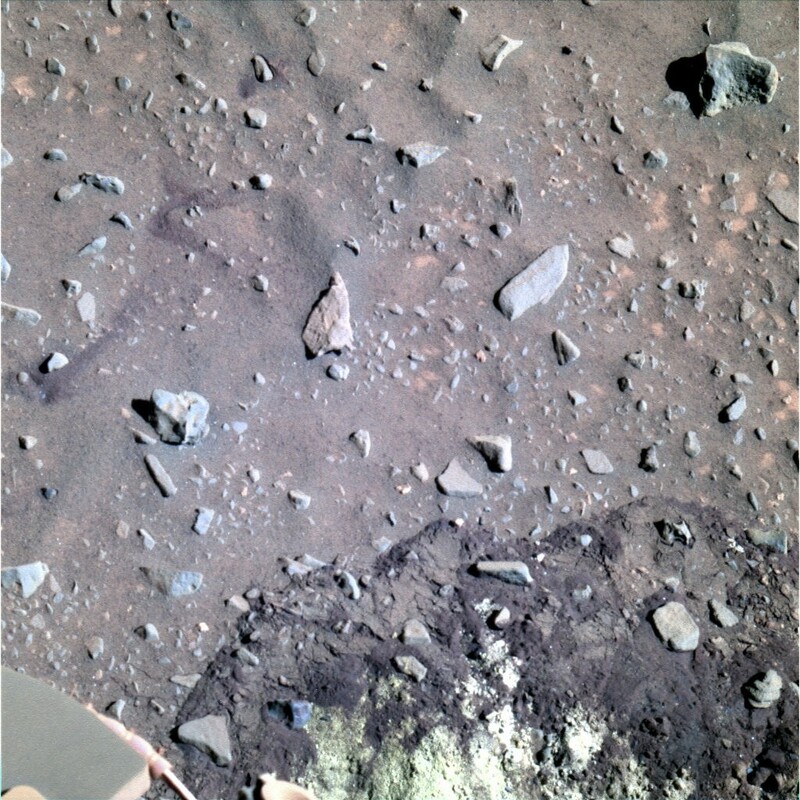 Didnt think anything of it and next day looked at the pic again and noticed 2 diamond shapes, green in color in the pic. On December 2017, the ufologist Streetcap1 has found a mysterious alien structure in Tycho Crater, Moon. On September 8, 2017, a mysterious spherical-shaped UFO was snapped over Houston, Texas. What is it? On December 2017, a mysterious hexagon shaped pyramid has been found on Moon by an ufologist on YouTube. On December 26, 2017, some people saw a perfect unidentified orb flying in the blue sky over Tampa, Florida. On December 2017, Streetcap1, a famous alien hunter, found a weird humanoid on Earth's Moon. What is it? On December 22, 2017, a man and his wife were driving on a road in El Centro, California, when they saw something of very strange in the night sky. On December 22, 2017, a witness caught a picture of SpaceX launch in Westminster, California. He noticed three weird lights on the image. So, he tried to take another one but UFO was gone. On August 15, 2017, an automobilist has caught of video of impressive cigar-shaped UFO in Fort Collins, Colorado. What is it about? “I drive a truck from Colorado to Wyoming four times a week. I take a break returning from Wyoming usually at this same spot, Hwy 287 at Ted's Place. I took a short nap and when I awoke I saw multiple craft in the valley in front of me. I grabbed my phone and tried to get pictures but it was too dark and the camera kept shutting off. I pulled out a digital camera and it kept shutting off, after about five tries I started recording the video. The same craft were there every night for weeks but seemed to move west toward the mountain. I believe they were searching for something. Well my story is pretty simple but very interesting. One day we went to see our farm animals. They are in a different location than our home. I decided to film this event. Anyways, the time I was filming, I didn't see or notice anything weird. It wasn't until a week or so later when I replayed the movie and discovered an object going incredibly fast. I thought it might be a glair or some sort of issue with my phone camera. My phone was basically 100% new at the time, so I realized that wasn't an issue. The object was moving so fast, I barely even noticed it in the movie playback. My eye seemed to catch it. It lasted for a brief second and vanished. I managed to stop the video and make a GIF image of it in slow motion, and a still picture. When I zoom in on it, I can see what appears to be antennas. This object was going far too fast to be man made, but slow enough to be caught on camera. When I seen this object, I mainly was surprised that I caught a UFO on camera. On May 5, 2017, a witness has caught a picture of a strange flying creature over Ocala, Florida, USA. What is it? “Was Taking Pictures of house and block as I do two or three times A year since 2005,to see how house and shrubs grow and house changes. An alien tower found on Mercury planet! The famous ufologist has found what looks like an alien tower on planet Mercury, on December 16, 2017. “Guys, you all know about the tower I found on planet Mercury last week, right? Well if not click here to see it. Anyways, this is the same tower, but from a slightly different angle and closer up so we see much more detail. Also note, today I included the exact coordinates of the structure on Mercury. On August 21, 2017, a witness took a picture of Chimney Rock, in Chadron, Nebraska. When he watched them, he noticed two football field size UFO. On November 8, 2017, a father took a picture of a black UFO over Cantonment, Escambia County, Florida. The witness claims he never saw this object to the naked eye. On December 6, 2017, a woman has caught a picture of an unidentified flying object over Charlotte, North Carolina, USA. On December 11, 2017, a witness living in Kings Mount, North Carolina, has spotted and videotaped a cigar-shaped UFO by using a telescope. On September 16, 2017, a doughnut-shaped UFO has been seen near a house over Chilliwack, Canada. On July 24, 2017, an automobilist was sitting in his car in Dragon Lake, near Quesnel, British Columbia, when he spotted a weird object. On September 24, 2017, a witness has caught a picture of a spherical-shaped UFO in night over Chino, California. What is it about? On December 8, 2017, a glowing hexagon-shaped UFO was shot over the Crazy Horse Monument, South Dakota, USA. On October 5, 2017, a witness claimed he saw a silently and stationary UFO flying over Bingen, Washington State, USA. After a few times, it banked 180 degrees to the East and disappeared over the mountains. On December 5, 2017, a witness was taking pictures of clouds in a road in Lethbridge, province of Alberta, Canada. By looking them, he claimed he found a black UFO. On December 10, 2017, Scott C. Waring, ufologist and astrobiologist well known on the web, thinks he has found a weird alien tower and praying statue on planet Mercury. 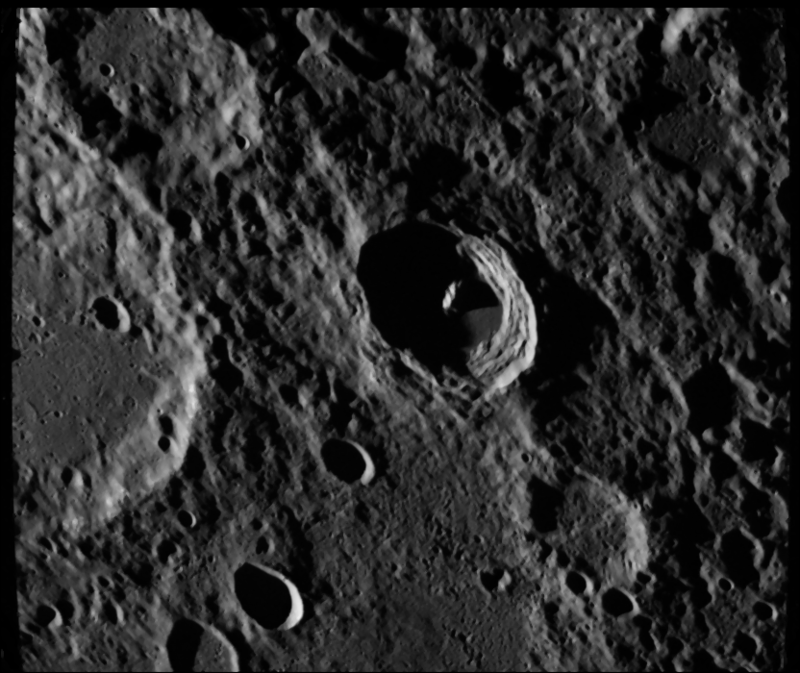 “A tower on planet Mercury that stands taller than the crater walls around it...looks like a giant monolith left behind by a species of ancient aliens. 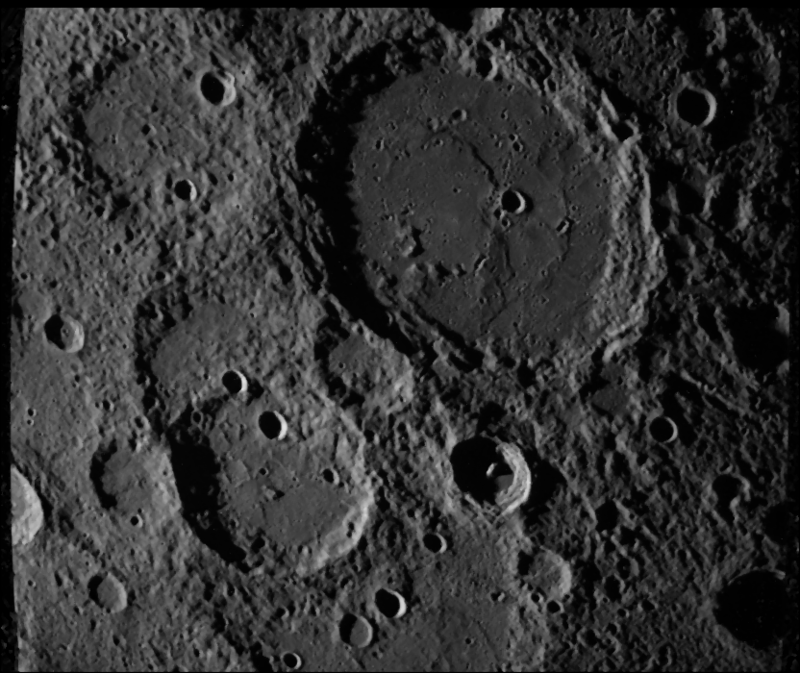 Most craters are several miles across 5 or more. If this one falls into that area, then the tower is over a mile high. That is advanced architecture. Weird UFO caught over Santo Domingo!